Amethi is bracing for an interesting face-off this Friday. 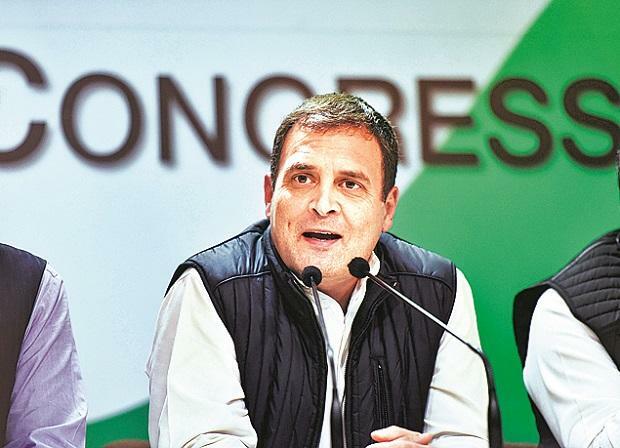 Fresh from his victory in a clutch of Assembly elections, Congress President Rahul Gandhi (pictured) is scheduled to attend some programmes in Amethi on January 4 and 5 organised by party workers. On January 4, Union Textile Minister Smriti Irani will participate in a blanket distribution programme organised by Raghav Ram Seva Sansthan in the town. The Bharatiya Janata Party has made a strong push for Amethi since the 2014 Lok Sabha elections, when Irani lost to Gandhi. Irani continues to make regular visits to the constituency. West Bengal Chief Minister Mamata Banerjee had announced on Monday that the siren would be played in several parts of the state at midnight to welcome 2019. Some people in the chief minister's office (CMO) also pointed out that the siren would be played in the city after 32 years to mark the advent of new year. Elaborate security arrangements were made at various points to ensure there were no disruptions and people of the city waited with bated breath... errr strained ears. But alas, there was no siren. What happened? No answers were forthcoming from the CMO. It is possible the sounds of the siren were drowned out by the noise of firecrackers, reasoned some, as the city got back to business as usual on January 1. With Lok Sabha polls round the corner, senior ministers in the Narendra Modi government are set to launch a sustained outreach to spread the message of the government's programmes and policies of its tenure. Not just union ministers, Bharatiya Janata Party (BJP) spokespersons have also been asked to reach out to journalists in the next fortnight. The BJP has also decided to project a less combative approach in the media by inducting the seasoned Rajiv Pratap Rudy recently in its panel of spokespersons. Not just Rudy, but Union ministers like Piyush Goyal and others are scheduled to meet journalists in the days and weeks to come.